From January to August, 2014, 105 military servicemen and women applied for emergency assistance from Boot Campaign’s Military Recovery Fund in search of ways to bridge the gap between government programs designed to care for their needs and the often challenging reality that is life during and post-service. Of those 105, 11 were homeless at the time of their application; greater than half have been diagnosed with some form of Post Traumatic Stress Disorder (PTSD) or traumatic brain injury (TBI); only 21 applicants were female, yet more than half are non-white; and approximately half of all applicants left active duty as a result of medical conditions that prevented them from carrying out the service they pledged during enlistment. While this is but a small sampling of the thousands of military families across America, it sheds light on the startling adversity many face every day. The Military Recovery Fund (MRF) began rather heroically back in 2011. After learning that an employee’s active duty son had been severely wounded in Afghanistan, Keg 1 O’Neal, LLC president and Boot Campaign Operations Board member Scott O’Neal sprang into action. After putting together an all-star team including Boot Campaign, Chris and Taya Kyle and Marcus and Melanie Luttrell, the wheels of fate began to turn. Within 48 hours, Boot Campaign had recruited the Kyles to visit and inspire the wounded Marine, Marcus Burleson, at Walter Reed Medical Center in Bethesda, Md. and had organized a fundraiser event at O’Neal’s Austin, Texas warehouse. Boot Campaign also dispatched partner Joey Jones to help guide Burleson through the initial recovery period at Walter Reed, which proved integral to his very survival. Both the Kyles and the Luttrells drew crowds at the fundraiser, expressing their heartfelt gratitude to all branches of the U.S. military and in particular, service members like the one they had gathered to support. During, and even after, the event, the unparalleled commitment Kyle showed for this family remained until his death in 2013. The one-day effort secured a healthy start for Burleson’s road to recovery, and with that outpouring of generosity and dedicated teamwork, MRF was born, becoming one of the first internally-administered Boot Campaign programs. Working alongside Burleson are seven incredibly dedicated and compassionate team members who review every request for assistance, thoroughly research applicants, engage in deep dialogue to ensure viability of the grant and offer guidance on positive steps to avoid further hard times. The statistics are unsettling: according to the Department of Housing and Urban Development (HUD), veterans account for approximately 13 percent of sheltered homeless adults and 16 percent of the homeless adult population at any given time; per Department of Veterans Affairs estimates, between 11 and 20 percent of veterans experience PTSD and somewhere in the neighborhood of 22 veterans commit suicide each day. Historically, veterans report the simple act of asking for help to be one of the greatest challenges they face – and a primary reason they are reluctant to seek counseling and financial assistance. In having past grant recipients as MRF administrators and celebrating recovery successes through our Hero Ambassador program, Boot Campaign has created a culture of acceptance and understanding, relieving the stigma of asking for help and allowing service members to feel comfortable reaching out for support. 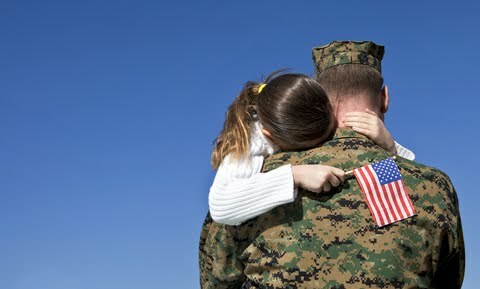 Thankfully, in the 18 months MRF has been issuing grants to qualified military families, there have been more than 100 asks, which equates to around 100 answered prayers. The common thread among each applicant is the desire to improve his or her situation for the long haul, not simply look for a quick fix to an ongoing problem. Recipients frequently report back with their success stories, sharing how their MRF grant helped them get back on their feet and on a positive path. Now for the good part: Boot Campaign has issued nearly $200,000 in urgent assistance grants to service members and their families, and that number simply must continue to rise. Some of the ways we bridged the gap left between military families and traditional government programs and other non-profits include providing gas cards allowing family members to visit their combat wounded veteran at Walter Reed Medical Center; interim housing expenses for a veteran student between semesters when government benefits are suspended; marriage counseling sessions for an active duty soldier and his spouse; and emergency housing assistance for a job-seeking veteran. As word spreads about the good work Boot Campaign is doing, more veterans are finding the courage to speak up and ask for help, and the need to increase funding for this vital program grows. Through collaboration with our corporate and community partners, we can give back to those who serve and sacrifice for all of us.